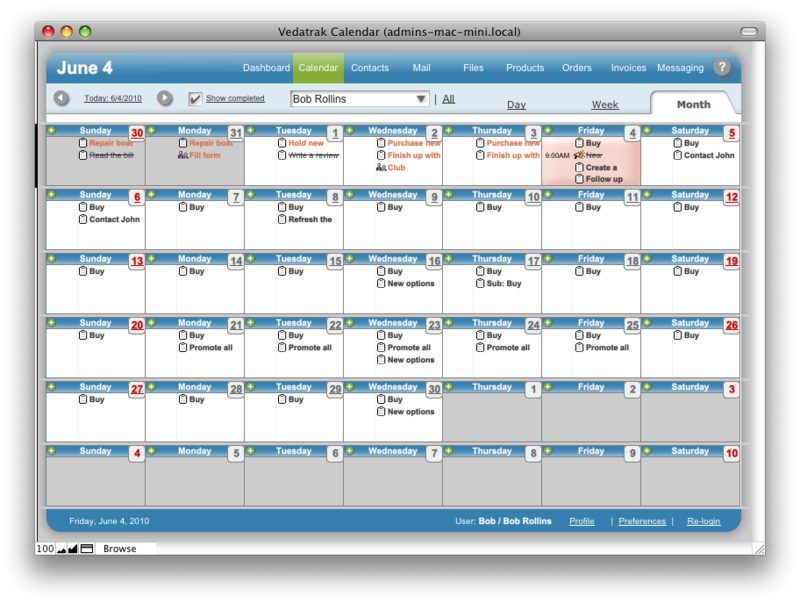 Calendar Month View, using the Appointments Filter, shows appointments for every day of the month, including the Selected Date (today is the default). This view is convenient for finding an unoccupied day to set an appointment. Switch between months using arrows or the Today button in the Appointment Filter. To open the Day view for a chosen day, click on the date in Month View.